Lakshadweep Administration Recruitment 2019 - Job notification for Forest Car Driver Posts in Department of Environment, Lakshadweep Administration, Lakshadweep. 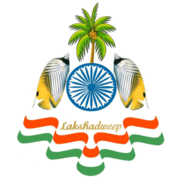 Applications are invited by Union Territory of Lakshadweep on or before 28 Feb 2019 till 06:00 PM for 2 vacancies. 18 to 30 years of age as on 01 Feb 2019.
ii) Driving License obtained from a competent authority for Driving Light Motor Vehicle or Vehicle of type to which recruitment is being made. iii) Experience as a Driver for a minimum of two years (i.e Holding Driving license for last two years) as well as a certificate from an employer. On the basis of Driving Test. Eligible candidates may send their application in prescribed format (attached below) to Conservator of Forests. Department of Environment and Forest, U.T of Lakshadweep Administration, Kavaratti -682555 on or before 28 Feb 2019 till 06:00 PM, along with self-attested copies of proof of age, educational qualification, community, Ex-servicemen etc.